Pine plantations offer the clearest example of how well-timed active practices can make a forest more healthy and bring back a much more diverse woodland for the future. We can work with any pine stand – big or small, old or new – to make it more productive and ecologically beneficial. 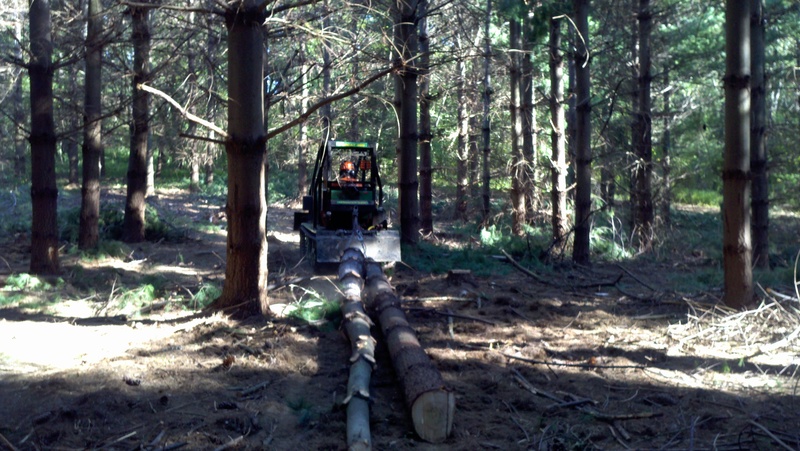 When we undertake pine thinning projects, we cut the smaller and crooked trees as in the image. The new space between trees provides additional air flow to over-crowded stands, lessening the likelihood of infestation by insects and disease. Additional sunlight reaching the forest floor is key to enabling new species to flourish and making the woods more diverse. 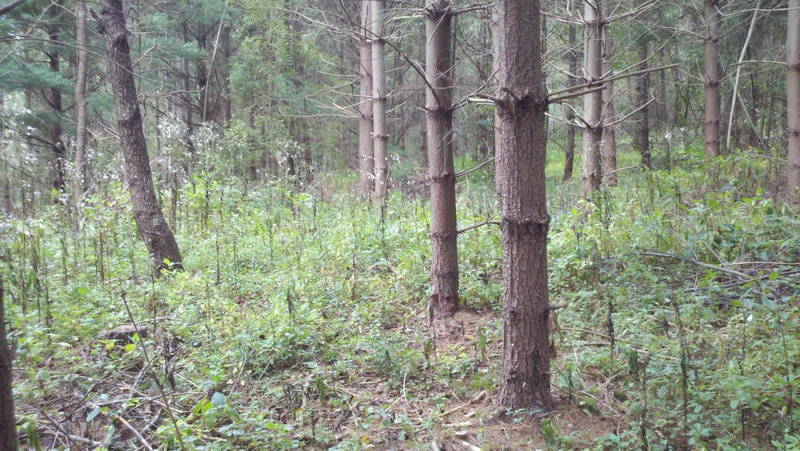 Thinning too much at once can sometimes allow wind to blow down patches of remaining trees, so we prefer to work with landowners who want to do “lighter touch” thinnings more frequently. And while bringing more sunlight to the forest floor helps native species, it can also allow non-native invasive species to take off and make it more difficult to restore the native hardwood forests. Good project planning in advance and undertaking a thinning as part of an overall integrated plan will provide the best chance that goals are met and the forest continues on the desired trajectory.